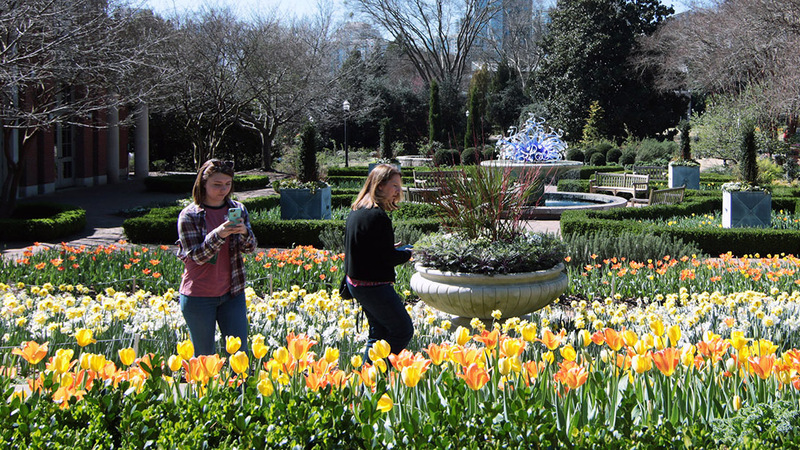 Whether your thumbs are green or not at all agriculturally inclined, a visit to the gorgeous Atlanta Botanical Garden, located at the edge of Piedmont Park in the heart of midtown Atlanta, will always be memorable and fun. This 30-acre plant sanctuary includes rose gardens, an orchid center, an edible garden and bar, the famous Storza woods with its canopy walkway, and much more. There is always an art exhibit or two in the gardens throughout the year as well. Right now the garden is welcoming the arrival of spring with a variety of garden and season-inspired events. You are also welcome to visit outside of events to enjoy a nice stroll through the gardens, which offer some of the best views of the Midtown skyline and surrounding park area. 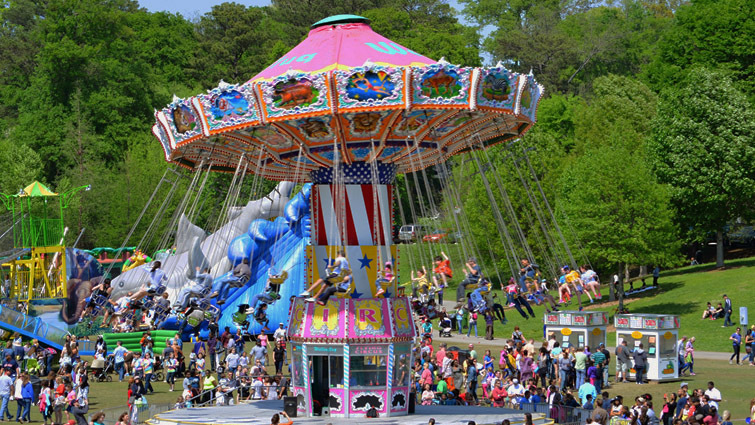 Conveniently located in Midtown Atlanta, this park festival offers food, live music, entertainment and an artist market. I think I warned you a few blogs back that we love our festivals in Atlanta. As you’ll see in the rest of this post, I wasn’t kidding! This festival, honoring the beautiful blooming dogwood trees of this season, first started in 1936 as a single-day event of music performances in an effort to raise awareness for the beautification of the city. These days, this famous festival has something for everyone—artist markets, live music, and food & drink aplenty! With two different stages on either side of the park, there is ample opportunity to hear all kinds of music. The artist market winds its way around the park with everything from paintings to sculpture, jewelry to clothing, and much more. And let’s not forget the food! Whether you’re craving carnival food (funnel cake! ), hot dogs, BBQ, or farm-to-table meals from the Food Trucks, you’ll have no trouble finding something to munch on. Admission is free. As the adage, “When in Rome…” implies, the best way to get to know a city is by doing what the locals do. 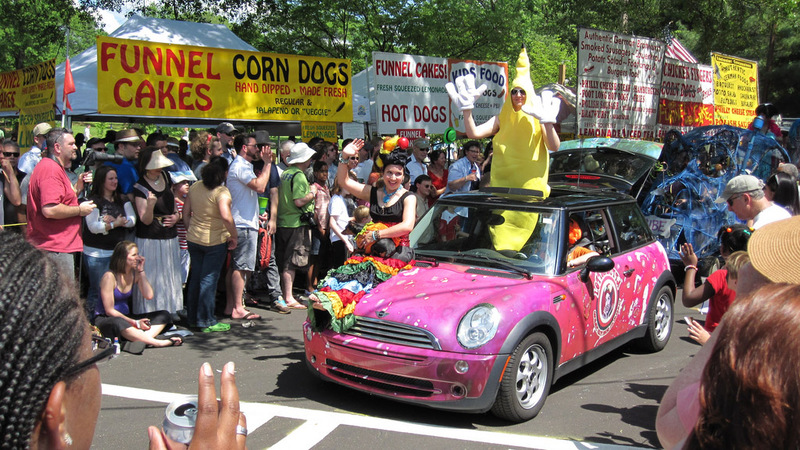 Well, considering the Atlanta Journal Constitution listed this neighborhood festival in “10 Things Every Atlanta Resident Should Do,” you should definitely stop by! Inman Park is one of the eclectic neighborhoods interspersed inside the city limits. 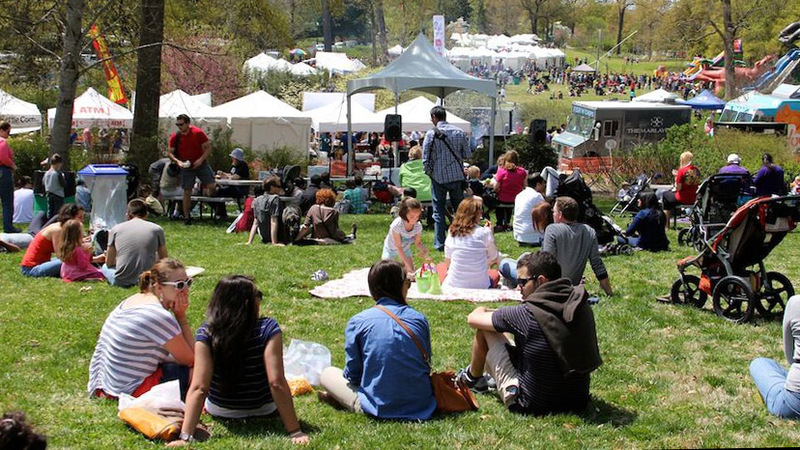 Like the Dogwood Festival, but on a smaller scale, the Inman Park Festival has plenty of music, food, and entertainment to take you through the whole weekend.